An online bachelor’s degree in counseling or a related field lays down the foundation for a successful career as a counselor. Students learn the fundamental theories of the counseling profession through various topics like psychology, human growth and development, mental health and behavioral disorders, and laws and ethics. Through various internships and practicums, they gain hands-on experience in working with patients. Most online BS programs in counseling prepare students for postgraduate degrees as well as licensure exams. A bachelor’s degree in counseling online is the stepping stone to diverse career opportunities in the dynamic field of counseling services. Students go onto earn their master’s degree and license to practice which may vary from state to state. Once they become a professional counselor, they help individuals overcome various interpersonal and mental health issues through different therapy techniques. Counseling is an umbrella term which has many subdivisions within the field. These include school and career counseling, marriage and family therapy, addiction counseling, mental health counseling, and rehabilitation counseling. In this article, we have identified online bachelor degrees in counseling or a related field which offer a comprehensive curriculum to help students prepare for a profession as a counselor. The ranking is based on affordability and value of tuition, the quality of program and range of courses provided, school awards, accreditations, rankings, and reputation. 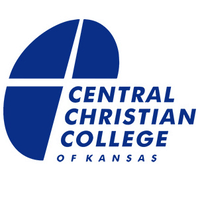 Central Christian College of Kansas offers an online Bachelor of Science in Psychology that prepares students for successful counseling and social work careers by exploring the interplay between science and faith. The online program teaches students to care for and help people deal with addictions and challenges, with mental and emotional disorders. The 312-credit program includes topics like Professionalism and Human Performance, Human Growth & Development, Personality Psychology, Statistics for the Social Sciences, Introduction to Life Coaching, Social Psychology, Research Methods/Applied Statistics, Abnormal Psychology, Counseling, Christian Counseling, Human Sexuality, Organizational Behavior and Leadership, Physiological Psychology, Psychology Research Project and culminates with a Capstone project. Graduates go on to work in a variety of careers as counselors, social workers, career coaches, and correctional treatment specialist among others. Drexel University offers an online Bachelor of Science in Behavioral Health Counseling which prepares students for careers in mental health and addictions treatment counseling. The fully online counseling degree requires 180 quarter credits for completion is structured in 10 weeks quarters to help students complete their classes quickly. The competency-based curriculum includes courses like Life Span Human Development, Foundation of Behavioral Health Care, Counseling Theory and Practice, Ethics and Professional Responsibility, Introduction to Addictive Disorders, Psychiatric Rehabilitation Principles and Practices, Multicultural Counseling, Group Counseling, Cognitive and Behavioral Counseling, Assessment and Treatment Planning, genetics and mental health, psychopharmacology, and trauma-informed care among others. Graduates go on to practice as effective and caring professionals who contribute to the healing and wellbeing of people in various walks of life. Accreditation by the Middle States Commission on Higher Education of the Middle States Association of Colleges and Secondary Schools. 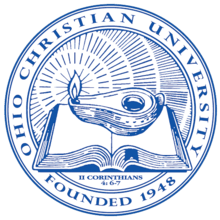 Ohio Christian University offers an online Bachelor of Arts in Substance Abuse Counseling program equips students to be effective counselors in the addiction recovery field. The 180-credit program includes courses like Introduction to Substance Abuse, Ethical and Legal Issues in Counseling, Chemical Dependency Counseling, Family Dynamics in Substance Abuse, Psychopharmacology, Prevention Strategies, Diagnostic Evaluation and Personal Assessment, Case Management, Theories and Techniques of Group Counseling, Methods of Counseling, Abnormal Psychology, Spiritual Dimensions of Illness and Recovery among others. The 100% online program prepares students for Ohio state licensure. They learn to integrate Christian principles in critical thinking and decision making as they use appropriate counseling techniques to help individuals, families, and groups. Capella University offers an online Bachelor of Science in Psychology Pre-Counseling through their Harold Abel School of Psychology which is designed for individuals with a passion for helping others. The 180-credit program provides a solid foundation of knowledge and skills in the field of counseling and also prepares students for graduate-level work. They will have the option to choose a focus to start building skills in the areas that most aligns with their interests. The main areas covered in the online program include Marriage & Family Counseling, Clinical Mental Health Counseling, and School Counseling. Topics covered at micro level include Intro to Counseling & Psychotherapy, Intro to Psychology of Personality, Abnormal Psychology, Survey Research in Human Development for Professional Counseling and Counseling and Advocacy with Diverse Populations among others. Penn State World Campus offers a Bachelor of Science in Psychology online that prepares graduates for a wide array of careers. The 123-credit program is 100% online and flexible that provides an overview of the field of psychology, a background in research methods and critical thinking, and the opportunity for career exploration in psychology and related fields. Students have two options which help them to customize their online degree per their career goals. The Life Sciences Option is an excellent choice for individuals who wish to have careers in counseling and health care, in substance abuse and disorders which involve both behavior and biology. The Business Option has courses in business, leadership, ethics, and diversity which include analytic and communication skills as well. Graduates are prepared for a range of careers in business, human resources, management, or health care administration. Online bachelor’s degree Southwestern Assemblies of God University (SAGU) offers an online bachelor’s degree in Counseling (pre-professional) with an optional minor in addictions counseling. The 100% online degree helps students to explore scripture and theological concepts as they learn how to help people overcome life’s challenges. 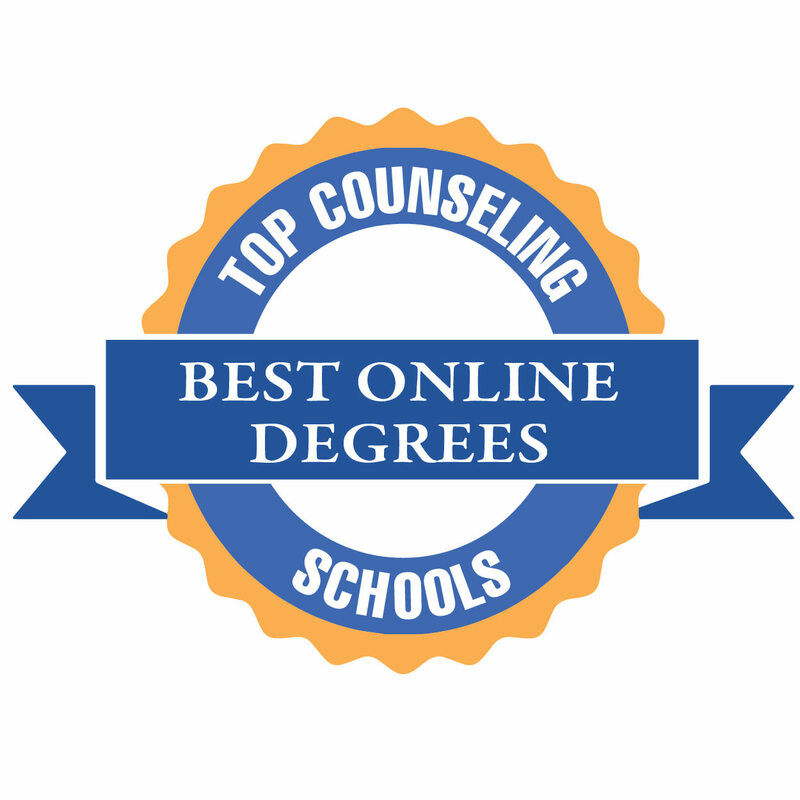 The 127-credit online curriculum covers topics like methods and techniques in marriage and family counseling, counseling children and adolescents, addictive behavior, recovery, behavioral science, developmental psychology, abnormal psychology, theories of personality and crisis intervention, the psychology of selfhood and the Christian faith, and theories of personality. Graduates go on to combine psychology and the Christian faith to counsel clients. They are trained to provide therapeutic advice to those suffering from family conflicts or spiritual crises or struggling with addition. 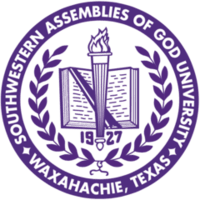 Southwestern Assemblies of God University is regionally accredited by the Southern Association of Colleges and Schools Commission on Colleges (SACS). Grace College and Theological Seminary offer an online Bachelor of Arts in Counseling that prepares students for careers in both counseling and clinical psychology. The 100% online curriculum is how solving them from a biblical vantage-point. The 120-credit program includes topics like Research Methods in Social Sciences, Biblical Psychology, Addictive Treatment, Clinical Practice/Senior Seminar, Introduction to Counseling, Abnormal Psychology, Process & Techniques of Counseling, Group Techniques of Counseling, Introduction to Sociology, Psychological Measurement, Introduction to Criminal Justice, Marriage and Family, Theories of Personality, Victimology, Scripture and Interpretation, Effective Writing, Essentials in Behavioral Science, Relationship to Self-Relationship to the World and Environment among others. The affordable online degree has a flexible schedule that helps students balance their time between studies and other life commitments. 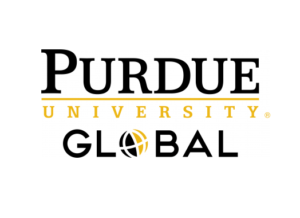 Purdue University Global offers an Online Bachelor of Science Degree in Psychology—Addictions that is designed for students passionate about a difference in the field of counseling. The 180-credit course focuses on topics like assessment, addiction science, prevention, treatment, intervention, and case management. Other course subjects include Health Psychology, Clinical Psychology, Abnormal Psychology, Case Management in Clinical Settings, and Psychopharmacology of Alcohol and Drugs among others. The courses are taught by a world-class faculty whose members are real-world practitioners with deep knowledge and industry experience. The online bachelor’s degree is accredited by the National Addiction Studies Accreditation Commission (NASAC). Graduates go on to work as Community health workers, Addictions case managers, Outreach specialists, and Addictions treatment technicians in various educational, organizational and non-profit settings. Maryville University offers an Online Bachelor of Arts in Psychology which helps students gain a deeper understanding of contemporary psychology and the versatile ways to apply the psychological principles at work. The expert faculty helps students prepare for graduate studies and plan their counseling careers via an affordable online course that meets the American Psychological Association’s standards. The 128-credit curriculum includes general education, psychology major core, a social science research sequence, and general electives. The general psychology module includes courses like Critical Thinking in Social Sciences, Human Development through the Lifespan and Abnormal Psychology. Students gain the practical experience of applying theory to projects with real-world applications. The combination of social sciences and psychology help them understand the guiding principles that contextualize human behaviors. The 100% online is accredited by the Higher Learning Commission, ranked among “America’s Top Colleges” by Forbes, 2018 and among the best values in private colleges by Kiplinger’s Personal Finance, 2018. Arizona State University offers an Online Bachelor of Science, Family and Human Development through its College of Liberal Arts and Sciences. The 100% online degree equips students with skills in quantitative and qualitative research, critical thinking, and the ability to interact effectively with groups and individuals from diverse backgrounds. The 120-credit program includes courses in addictions, the dissolution of families and human development, clinical, cognitive systems, cross-cultural, developmental, behavioral neuroscience, organizational, and social psychology, health psychology, and law psychology among others. Students are trained to become independent thinkers and active participants in a rapidly changing world as they prepare for a master’s program in counseling or psychology. The diverse online curriculum of basic and applied courses focus on contemporary issues facing us today including the impact of ethnicity, culture, and gender. 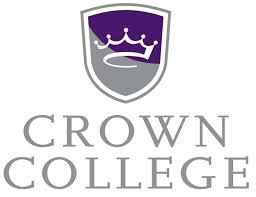 Crown College offers an online counseling bachelor’s degree which incorporates a biblical perspective towards counseling. Students gain the important skills and psychological theories as they focus on areas like human behavior and development, ministry, addiction response, and social work among others. The 100% online program requires 125 to 131 credits and has the option for a minor in drug and alcohol counseling. The courseware covers topics like the diversity issues in counseling, foundations of Christian thought, Christian studies, general education, and theories of counseling and psychotherapy among others. Students also have the option to customize their online degree with the choice of electives. Graduates go on to work as addictions counselors, human resources and services workers, community relations workers, administrators, and church counselors. Crown College is regionally accredited by the Higher Learning Commission (HLC). The college was ranked in Money Magazine’s list of 50 Colleges that add the most value and placed in the top 15% of their “Best Colleges” list. 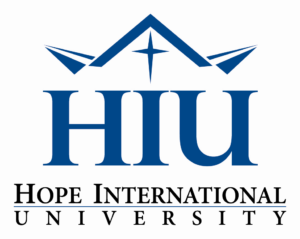 Hope International University offers an online B.S. in Human Development with concentration options like Community Mental Health and Counseling aimed for psychology and counseling students. The 120-credit program covers a wide range of topics like counseling theories, abnormal psychology, mental health interventions, case management, and consultation. Other subjects in the 100% online program include Childhood Development, Adolescent Development, Adult Development, Applied Cultural Diversity, Statistics for the Social Sciences, Social Issues, Christian Perspectives in Human Development, Research Methods and Design, Foundation for Ethics, Risk and Resiliency among others. They also gain a diverse set of marketable skills in counseling, teaching-related professions. Graduates go on to work in varied settings where they can apply their counseling knowledge combined with humanities and the Christian worldview to help people. 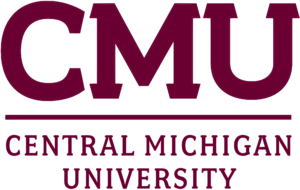 Central Michigan University’s Global Campus offers an online bachelor of science degree in psychology that helps students develop their knowledge and understanding of behavior and environment to help others. The affordable counseling program also offers students the option to customization their online degree to match with their career goals. The 124- credit program includes required core and electives in subjects like Introduction to Psychology, Research Methods, Applications of Research Methods, Introduction to Psychological Statistics along with general education courses. The 100% online program equips students with applicable skills in personality, human development, behavior analysis, mental health, cognition, and cultural awareness. Graduates go on to create successful careers in human welfare, psychology, counseling, social work, and related disciplines. Trinity International University offers an Online Bachelor of Arts in Psychology which teaches students knowledge and skills to become effective counselors. The Christ-centered curriculum online provides the conceptual theories and research methods which helps students to understand people and problems better so that they can work with others in an effective manner. The 124-credit program integrates Christian values with the psychology discipline and gives students a basic understanding of major concepts, empirical findings, theoretical perspectives, and historical trends in the field of psychology. Courses include an Introduction to Psychology, Psychology Seminar, Statistics, Research Methods and Design, Developmental Psychology and The Psychology of Adolescence among others. The program helps students to hone their problem-solving capabilities and critical thinking skills to function as thoughtful and compassionate counselors. 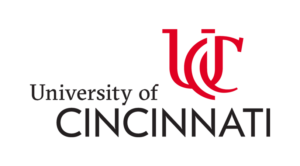 The University of Cincinnati offers an Online Bachelor’s in Substance Abuse Counseling prepares graduates for rewarding careers in counseling, with foundational knowledge to qualify for Ohio licensure as well as national certification. The 120-credit program includes topics Introduction to Substance Abuse Prevention, Introduction to Substance Abuse Counseling, Basic Pharmacology, Historical Perspectives in Substance Abuse Counseling, Alcoholism, Stress Management in Clinical and Community Settings, Drugs and Behavior, Assessment and Diagnosis in Substance Abuse Counseling, Drug and Alcohol Use Impacting Children and Adolescents: A Developmental Concern, Foundations of Cultural Competence, Crisis Management Skills, Ethics in Substance Abuse Counseling and Abnormal Behavior among others. The 100% online course culminates into a capstone and internships. The faculty consists of experienced practitioners in the field of counseling. 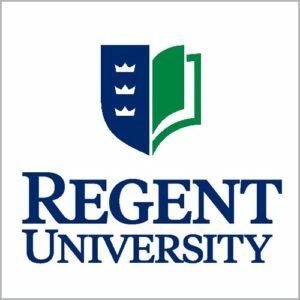 Regent University offers an online Bachelor of Science in Psychology program that prepares students to understand the functioning of the human mind in wholeness from a Christian worldview and learn effective theories and practices. The 120-credit program offers a concentration in clinical and counseling psychology. The clinical counseling concentration includes areas such as treatment planning, case management, and psychological assessments. Courses include an introduction to psychology, philosophical foundations, developmental psychology, theories of personality, research methods, data analysis, abnormal psychology, physiological psychology, cognitive psychology, multicultural psychology and social psychology among others. The online counseling degree end with a capstone that emphasizes Christian philosophy, thought and practice. It helps students to develop interviewing and counseling techniques as well as improve their problem-solving and decision-making skills. 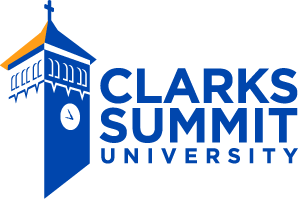 Clarks Summit University is a Christian institution that offers an online bachelor of science in counseling ministries. The 121-credit program covers topics like Introduction to Counseling, Dynamics of Discipleship, Abnormal Psychology, Women Counseling Women, or Pastoral Counseling, Ethics & Professionalism, Historical and Contemporary Issues in Counseling, Marriage and Family Dynamics and Crisis Counseling. Students also have the option to enroll in the bachelor of science in addictions counseling program online. Both online counseling programs teach counseling and psychology topics from a biblical perspective. Students develop counseling skills and learn to encourage spirituality in clients. The 100% online program touches upon important aspects like adolescent and adult psychology, building a biblical lifestyle, and personality theory. The counseling ministries program focuses on philosophies and methods of biblical counseling and is ideal for students pursuing counseling careers within the ministry. Clarks Summit University is regionally accredited by the Middle States Commission on Higher Education (MICHE). Liberty University offers a BS in psychology online with an emphasis in Christian counseling. 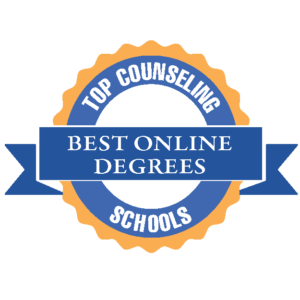 The online counseling degree requires 120 credit hours and prepares students for a variety of careers in advocacy, counseling, Christian counseling, case management, administration, mental health services, social services, and community relations. Students are taught Bible-based counseling methods and to approach counseling from a Christian perspective. They also learn to analyze theoretical approaches and psychotherapy techniques during the eight-week sessions. Featured courses in the 100% online program are psychology and Christianity, Christian counseling for marriage and family and Christian counseling for children. The extended courseware includes psychology of personality, issues of Christian counseling, and behavioral modification, courses in Bible study and philosophy, along with general subjects like communication, math, technology, and Christian life and thought. Students also need to complete an internship, which provides life experience of counseling. 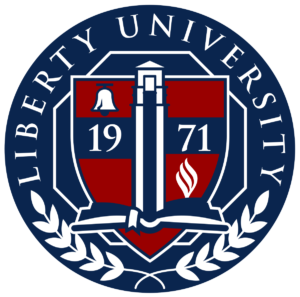 Liberty University is regionally accredited by the Southern Association of Colleges and Schools Commission on Colleges (SASC). 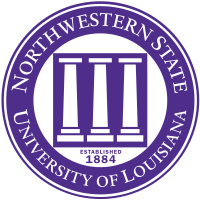 Northwestern State University of Louisiana offers an online Bachelor of Science in Psychology that prepares students for various counseling roles. Students can opt for a concentration in prevention specialist or a concentration in substance abuse and tailor their online degree with their choice of electives. The 120-credit program includes courses like Intro to Psychology, History of Psychology, Development Psychology, Physiological Psychology, Diversity Issues in Psychology, Theories of Personality, Social Psychology, Abnormal Psychology, Ethics in Psychology, Addiction Studies among others. The faculty consists of experienced professionals in clinical and counseling psychology. The 100% online program prepares students for state certification or licensure as an addiction professional. 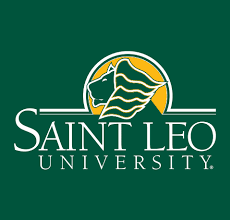 Saint Leo University offers a bachelor of arts in psychology online with an emphasis in clinical counseling that prepares students for a wide range of careers like case workers, social service professionals, marital counselors, human resource generalists, and child welfare workers. The 120-credit program includes subjects like Introduction to Psychology, Physiological Psychology, Developmental Psychology, Abnormal Psychology, Social Psychology, Cognitive Psychology, Psychology of Learning, Interviewing and Counseling Skills, Personality Theory, Forensic Psychology, Human Sexuality, Social and Cultural Foundations of Behavior, Introduction to Community Counseling and Mental Health along with practicum and internships. The well-rounded and 100% online program offer students the flexibility to tailor their course of study to meet their individual needs as a working professional. Crossroads College offers an online Bachelor of Science in Counseling that prepares students for careers in for a wide array of careers in counseling and caregiving. The 120-credit curriculum covers topics such as counseling and ethnic diversity, the psychology of counseling, foundations of marriage and family systems, and theories of personality and psychotherapy, abnormal psychology, human development and group counseling along with internships. Students learn to combine Christianity and psychology to counsel clients and help them heal and deal with their emotional issues. Graduates go on to pursue careers as camp counselors, church counselors, family counselors, and marriage counselors. 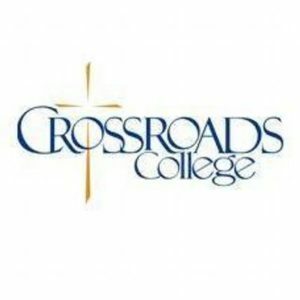 Crossroads College is nationally accredited by the Association for Biblical Higher Education (ABHE). 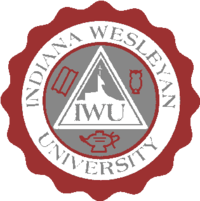 Indiana Wesleyan University offers an online Bachelor of Science with a major in Addictions Counseling program which can be completed in 22 months or less. The comprehensive online curriculum teaches students the psychological, biological, social, as well as spiritual aspects of addiction and recovery. A combination of theoretical and experiential learning helps students make a meaningful connection between theory, research, and practice in areas related substance abuse and other addictive behaviors. The 45-credit program includes courses like Addictions Theory, Psychopharmacology, Urban Encounter for the Helping Profession, Addictions Counseling Skills, Theory and Practice of Group Counseling, Counseling Addicted and Dysfunctional Family Systems, Addiction Programs and Professional Development, Developmental Psychology, Child Development, Adolescent Growth and Development, Physiological Psychology, Psychology of Abnormal Behavior, Theories of Personality, Intergroup Relations and Addictions Counseling Practicum. Old Dominion University offers an online bachelor of science in psychology that combines general psychology with quantitative methods and experimental design that helps students to refine their analytical thinking and improve people interactions. The 120-credit program includes courses like Intro to Psychology, Quantitative Methods, Research Methods, Biological Bases and Cognition, Personality and Social Processes, Developmental Changes and Applied Psychology among others. Other areas in the broad study of psychology include childhood development, health psychology, applied experimental psychology and the psychology of women. Those who are interested in clinical or industrial/organizational psychology may opt for specific online courses to meet their career needs. Toccoa Falls College offers an online bachelor’s program in counseling psychology that combines Christian principles with counseling methods. Students learn to combine New and Old Testaments and Christ-centered counseling with modern psychology. The 126-credit program topics such as Christ-centered counseling, counseling skills, family therapy, abnormal psychology, crisis & trauma therapy, premarital & marital counseling, child & adolescent therapy, personality theories, group counseling, developmental psychology, and foundations of spiritual formation. Research Methods in Psych/Tests and Measurements play an important role to prepare students for successful counseling careers. A counseling internship within the 100% online program and a service and outreach project provide a hands-on and real-world experience which helps students develop practical skills for the future. Toccoa Falls College is regionally accredited by the Southern Association of Colleges and Schools Commission on Colleges (SACS). 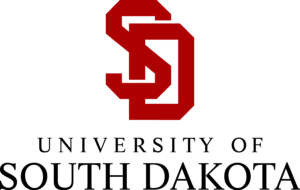 The University of South Dakota offers an Online Bachelor of Science in Addiction Studies that combines foundational science-based addiction education with real-world experience in addiction prevention. The 120-credit program includes subjects like Study of Alcohol Use & Addiction, Study of Drug Use & Addiction, Fundamental Skills of Individual Counseling for Addiction, Fundamental Skills of Group Counseling for Addiction, Ethical and Legal Issues in the Addiction Profession, Addictive Family Systems & Family Counseling, Major Issues in Health and Human Services, Psychopharmacology of Addiction, Theory & Practice of Substance Use and Addiction Prevention in Communities along with Individual Addiction Counseling Practicum and Group Addiction Counseling Practicum among others. The 100% online course prepares students to meet the licensure standards for state, national, and international certification. 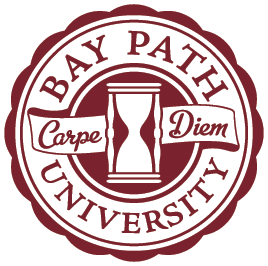 Bay Path University offers an online BA in Psychology – Foundations in Alcohol and Drug Abuse Counseling program which helps students to explore and identify the substance abuse so that they can help patients in the future. The 100-credit program includes courses like Drugs and Behavior, Addictions and Intervention, Social Psychology, Counseling Diverse Populations, Physiological Psychology, Health Psychology, Adolescent Development, Ethics and Professional Conduct in Counseling among others. Students can also complete the online counseling degree faster in an accelerated, six-week term. They develop the skills to assess, diagnose, and treat people with substance disorders in individual and group settings. The completion of this 100% online program with the practicum requirements and an intensive 300-hour internship not only prepares graduates for a successful counseling career but also to become a Certified Alcohol and Drug Abuse Counselor upon completion of the CADC Licensing Exam. John Wesley University offers an Online Bachelor of Arts in Ministry with a Christian Counseling Concentration that teaches students to use biblical principles to minister healing, hope, and encouragement in group or individual counseling sessions. The foundational courses in online Christian Counseling and psychology include Principles of Christian Counseling, Counseling Theory, Cross-Cultural Counseling, Psychology of Abnormal Personality, Counseling Methods along with Christian Counseling Internships. Students can customize their degree with their choice of electives. Students are taught to understand the diversity of people and circumstances in order to solve problems through biblical and Christian methods. The 120-credit hour program equips students with the skills and knowledge to help others heal and grow through focused personal counseling. 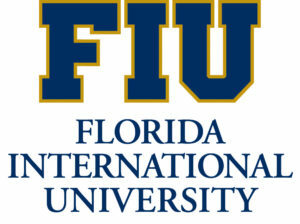 Florida International University offers an online bachelor of arts degree in psychology that focuses on recent trends in psychological theory and can open the doors to an incredible range of careers. The 120-credit program has five key areas of concentration within psychology: experimental, applied, social, personality or abnormal and developmental. The fully online Bachelor of Arts in Psychology equips students with a solid foundation in scientific research and human behavior, along with critical thinking and problem-solving skills and techniques. Courses include Psychology Career Development, Psychology Methods/Analysis, Cognitive Processes, Introduction to Biopsychology, Memory & Memory Improvement, Neuropsychology, Sensation & Perception, Global Psychology, Psychology of Women, Social & Personality Development, Principles and Theories of Behavior Modification, Introduction to Community Psychology, Introduction to the Experimental Analysis of Behavior, Legal Psychology, Psychopathology and Psychotherapy among others. Hobe Sound Bible College offers an online Bachelor of Arts in Counseling that prepares students for a variety of counseling careers and promotes their spiritual development as well. The 129-credit program includes core subjects, general education along with Bible studies. The 100% online coursework covers topics such as marriage therapy, crisis intervention, foundations of faith, and family therapy. Students learn to use faith and psychology to counsel people in unique situations. General education courses include evangelism, philosophy, and literature. The knowledge and skills provided in this course prepare students for a successful career and also prepares them for post-graduation. It also prepares them for licensure to become a board-certified Biblical Counselor or board-certified Pastoral Counselor. 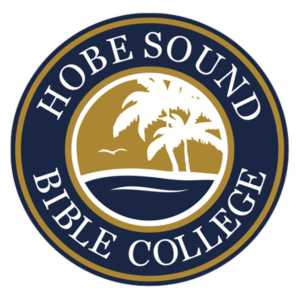 Hobe Sound Bible College is regionally accredited by the Middle States Commission of Higher Education (MSCHE). The University of Cumberlands offers an Online Bachelor in Psychology Degree Program where students gain the professional skills combined with behavioral theories and ethical practices in counseling to help others. The 128-credit program includes general education, core requirements and a special area of concentration. The core subjects include Basic Psychology, Psychology, and Human Development, Research Design and Statistics, Adult Development, Psychology of Personality, Social Psychology, Psychological Testing, Abnormal Psychology, Learning and Cognition, History and Systems in Psychology among others. Students gain foundational knowledge to pursue a career in counseling, prepare for a 100% online graduate degree and licensure as well. Students go on to make an impact as a Clinical Psychologist, Counseling Psychologist, School Psychologist, Forensic Psychologist, Sports Psychologist, Neuropsychologist, and Industrial/Organizational Psychologist.